Sign Up below for Updates and Notifications! This is episode 12! In today’s podcast we have the Austin, Texan artist Ben Livingston who is internationally known for his neon/light sculpture. He is the inventor of an opalescent color palette for neon, using a variety of UV sensitive phosphorescent compounds and minerals. Ben originally observed these glowing compounds in New Zealand in 1985 which ultimately led to his signature work- luminous tubes he calls 'Nightsticks' or 'Spirit Antennae'. He’s a multi-medium artist of a variety materials and skill-set, a musician/songwriter, and avid storyteller as you’ll discover shortly. We get a great story of his neon journey, thriving in the face of recent health problems, and reveal of what goes into his opalescent color palette, which I hope will gift you with appreciation for the journey, and inspires you explore and play in your work and life. 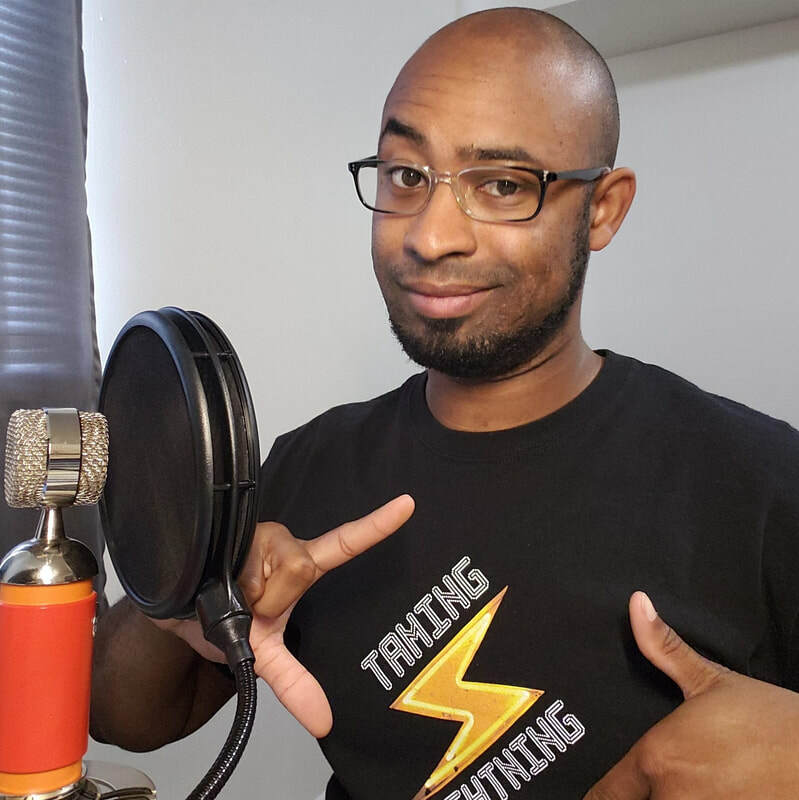 Thank you for listening to the Taming Lightning Podcast! I'd like to thank Ben Livingston for having this conversation with me. I definitely enjoyed his story and appreciate his willingness to share with us his opalescent phosphor technique. If you have the opportunity and the resources, spends some time to explore what’s been presented in this episode. We’d love to see what you discover! Also, I'd like to thank Pittsburgh Glass Center for supporting me as a place of research and inspiration, as well as encouraging me to pursue this project, and the Plasma Art Alliance where I have access to the well of knowledge and connects me to some amazing people. If you like to support Taming Lightning you can donate through Buy Me a Coffee, a service where patrons can donate for the price of $3 cup of coffee. links are provided below. Feel free to share, comment, and subscribe. BENEON - A Documentary about Ben Livingston - World Renowned Neon Artist from Enjoy Eyes on Vimeo. Plasma Lab | Clouds, Ladders, and Plasma! Since my collaboration with local Pittsburgh Artist Daria Sandburg two years ago, we've dreamed of expanding her ideas with plasma! Our recent exploration and collaboration has yielded some interesting results. Daria is often making and working in small metals, glass cast elements, and found materials. Our collaboration is a synergistic relationship: where she challenges my ability to shape and scale clouds that fit her ladders, and I challenged her to hammer out different metals and develop new techniques. For this Piece we used small copper coil to stick to the glass, withe ladder being made of nichrome wire, just to try something that was available in the studio. She had tried steel wire, but did not have the tools to work it as she often worked in softer metals. The purpose of using nichrome or steel is to use a materials that didn't scale or flake when brought up to annealing temperature. That way I can create the cleanest environment for vacuum. More experimentation and explorations abound! Pittsburgh Glass Center is one of the top glass facilities in the U.S. Rent the studio today! Checkout the American Craft Council Article in the link below! Glass artist Percy Echols II eagerly enters a dawning era. This episode 11! In today’s podcast, we have Artist and Educator, Sarah Blood. We couldn’t have found a better time to release this podcast, than now. As we recently finished up episode 10 talking about the process of plasma, we must consider how we use it as a medium. Sarah talks about her neon origin, her use of light and material, education and misconceptions of neon. Thank You for listening to the Taming Lightning Podcast. I'd like to thank Sarah Blood for taking time out of her busy schedule to redo our recording, and offering her insight for use of light and material. If you like to support Taming Lightning, you donate through Buy Me a Coffee, where donation can be submitted price of a $3 cup of coffee. 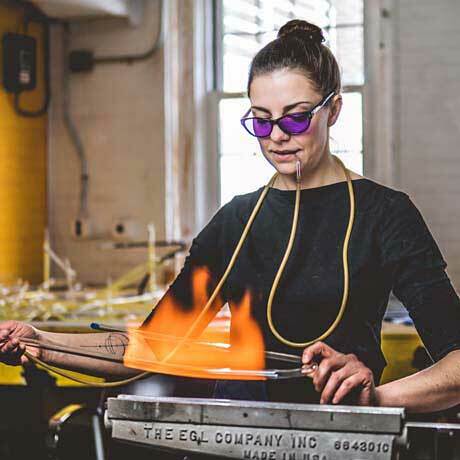 Whether you are working with glass sculpture, metal, neon, wood, paper, stone, found objects, installation or a combination of them all, you can access extensive facilities and a dynamic curricula of courses that represent the breadth and depth of contemporary sculptural expression. Welcome to Taming Lightning, I'm Percy Echols II. I'm the creator and host of Taming Lightning, as well as the emerging plasma tech at Pittsburgh Glass Center, where I'm researching and developing a space to explore Plasma and Neon Light as an Artist Medium.